Sail into a sea of affordability and timely, professional service with Ship Shape Laundry & Dry Cleaners in Dartmouth. For the past 45 years, we’ve provided commercial laundry solutions for ships, restaurants and hotels while offering dry cleaning, alterations and clothing repairs to all of the Halifax Regional Municipality (HRM). Our commercial laundry customers enjoy the flexibility of 24-hour pickup and delivery service to accommodate your busy schedule. Let us handle your big, bulky items like comforters, duvets and draperies. When you deal with Ship Shape Laundry & Dry Cleaners, your deadlines will always be met. Our skilled hands can alter or clean a variety of materials including leather and suede. For fair pricing and efficient service for commercial laundry, dry cleaning and alterations, come see the team at Ship Shape. 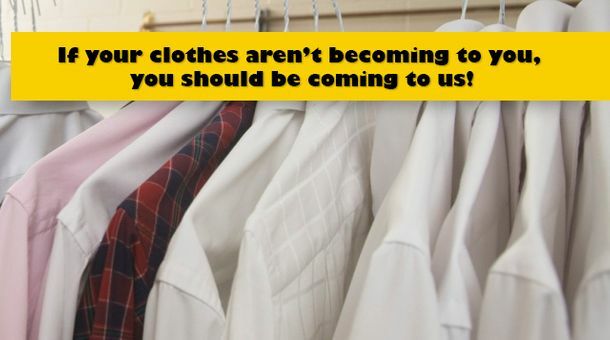 We have a family of dry cleaners and tailors throughout the HRM to serve you.